RADM Walley was born in Orange County, California and raised in a Marine Corps aviation family environment. He graduated from Tulane University (1970) with a bachelor’s degree in civil engineering and concurrently received a commission in the Civil Engineer Corps, United States Navy. RADM Walley served 11 years on active duty, first with the Seabees (NMCB 74) and made two deployments to the Republic of Vietnam. Following Vietnam, he was transferred to Washington DC and had assignments in construction with Chesapeake Division and in public works at NAF Andrews, Maryland. RADM Walley completed his active duty service in the Gulfport, Mississippi area serving again with the Seabees (20NCR) and then with Southern Division at Keesler AFB. While on active duty, he completed a masters in engineering at George Washington University and a masters in business administration at the University of Southern Mississippi. RADM Walley affiliated with the Naval Reserve immediately upon release from active duty in 1981 and has served continuously since. His reserve participation has included numerous Seabee assignments including Command of a Construction Battalion (NMCB 22), Command of a Construction Regiment (9NCR), Operations Officer for the SECOND Naval Construction Brigade (2NCB), and Deputy Commander of the THIRD Naval Construction Brigade (3NCB). 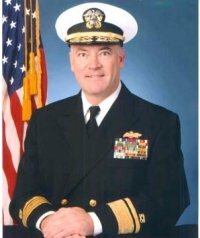 Additionally he has served as the Deputy Commander, Pacific Division, Naval Facilities Engineering Command, the Deputy Commander of the Naval Reserve Contingency Engineering Program. His last assignment was as the Deputy Commander, Naval Facilities Engineering Command and Deputy Chief of Civil Engineers. RADM Walley’s decorations include the Distinguished Service Medal, Legion of Merit, Meritorious Service Medal (two awards), Navy Commendation Medal (four awards), Navy Achievement Medal with Combat V, Combat Action Ribbon, Volunteer Service Medal, Expert Rifle Medal, Expert Pistol Medal, and numerous other unit and service awards. He is qualified as a Seabee Combat Warfare Officer and is a Registered Professional Engineer in the States of Texas and Virginia. RADM Walley is married to the former Marynelle Lorimer of Fort Worth, Texas. He has four children, Charlotte, Elizabeth, James Edward, and Joseph Michael. In civilian life, RADM Walley lives in Dallas, Texas and is the President of CE2 Solutions, Inc., an engineering consulting firm dedicated to providing superior client service in the areas of facilities engineering, due diligence, claims resolution and owner’s representation. He has been an active participant in professional and civic associations in Dallas including the Salesmanship Club of Dallas, Leadership Dallas, the American Red Cross, and also served as a member of the City Council of University Park, Texas.